It’s a week into December, and if you’re like me, you’ve already attended at least one holiday party and have a few more in the coming weeks. And hopefully you navigated that party easily….meaning you didn’t wake up the next morning with a hangover and a food baby (you know what I mean: a pounding headache and bloated belly). If that’s not the case, then here’s a few tips for your next party. No, I’m not going to tell you to avoid all food and beverages at the buffet….read on for how to reasonably indulge and wake up feeling proud of yourself, rather than ashamed at the amount of spiked eggnog you consumed. Eat a solid snack before you go to the party. A few good options: small turkey sandwich, apple with nut butter, veggies and hummus, a few hardboiled eggs. Don’t eat until you’re full, just until you’re in that in-between stage of not starving, but not full, either. Always survey the entire buffet table before filling your plate. Start with as many whole, unprocessed foods you can find: veggies, fruit, meat, etc. Then choose one or two treats that you know you will enjoy. Do not pick the cookie in the plastic tray from the grocery store…..this is not special and not worth it. Choose your mom’s famous fudge, your sister’s special toffee, or the neighbor’s yummy cookies. Take a small serving, really enjoy it, then be finished. This is key for everything you put on your plate: if the first bite of any food you choose does not taste totally yummy and make you want more, do not finish it. Do not eat it simply because it’s on your plate; eat it because it is truly delicious and you enjoy every bite. When it comes to alcohol, you have to stay mindful and know your limits. Drink a big glass of water before you get to the party, then alternate one alcoholic drink for one glass of water (or sparkling water), and watch the clock….if it’s an hour or two into the party and you’re unsure about just how much you’ve had to drink, it’s time to stop and drink water for the rest of the evening. Be smart and safe! This is all within the context of my Happy New Year plans as well. Since I’m keeping up with my Quiet/Move/Eat habits, I feel good indulging a bit at a party. Notice I said “a bit” which is different than throwing caution to the wind, eating and drinking with abandon. A full-blown cheat meal won’t do me any favors, just make me tired and crabby….which I’m trying to avoid, right? 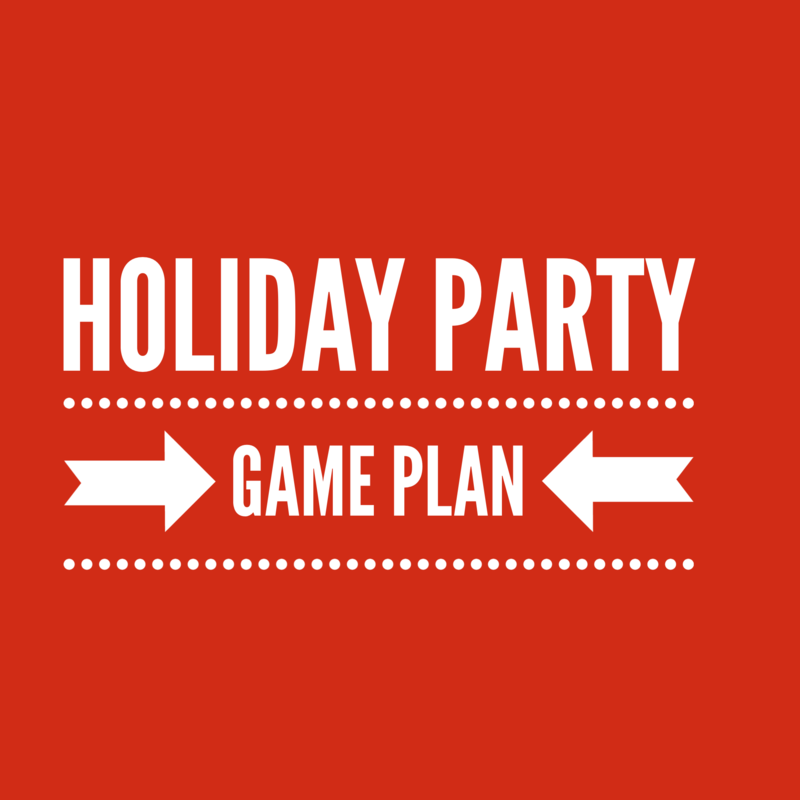 Fill me in on any tricks or tips you have for navigating holiday parties. What’s you’re go-to recipe when you attend a potluck?